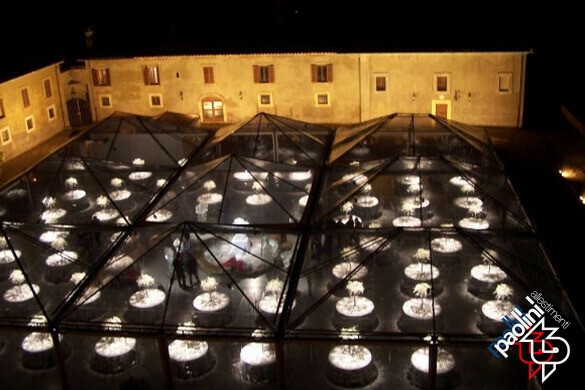 Minimal tents with great visual impact, the Cristal tents are tensile structures consisting of a modular mobile structure and a clear cover that allows you to enjoy and fully admire the external spaces of a location. 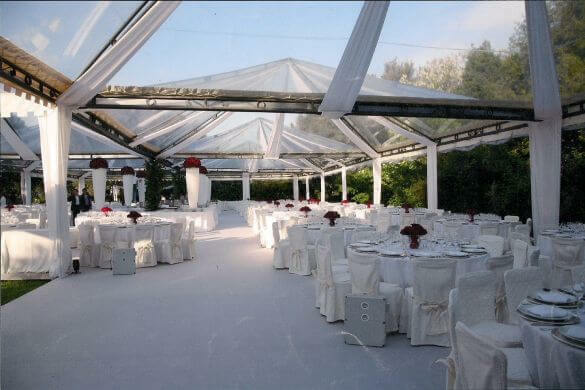 Cristal tents are made with a galvanised iron structure painted dark grey, and a clear PVC sheet. 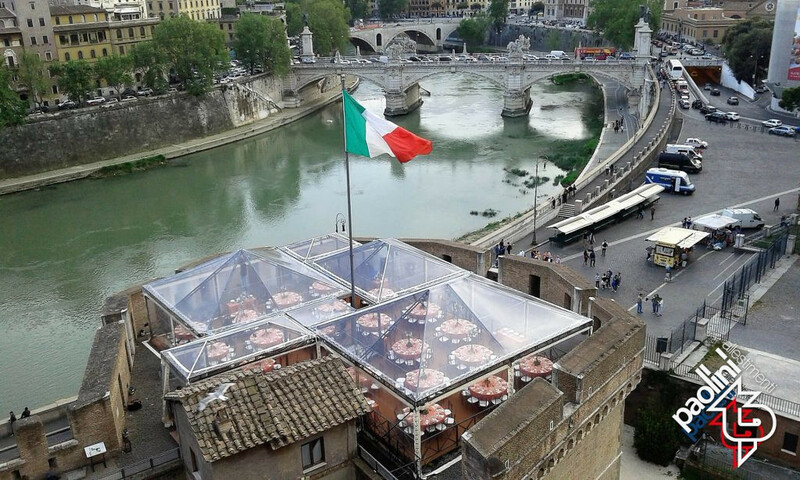 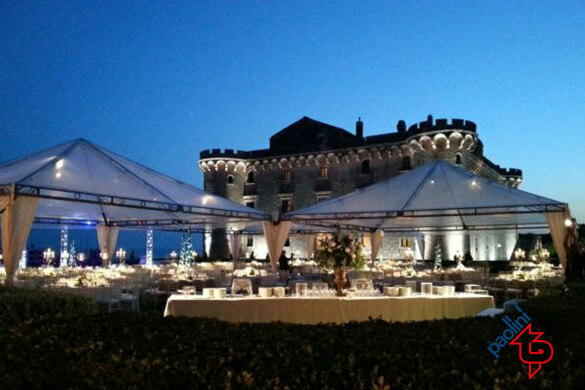 Thanks to their modular structure, Cristal tents allow you to cover surfaces of any size. 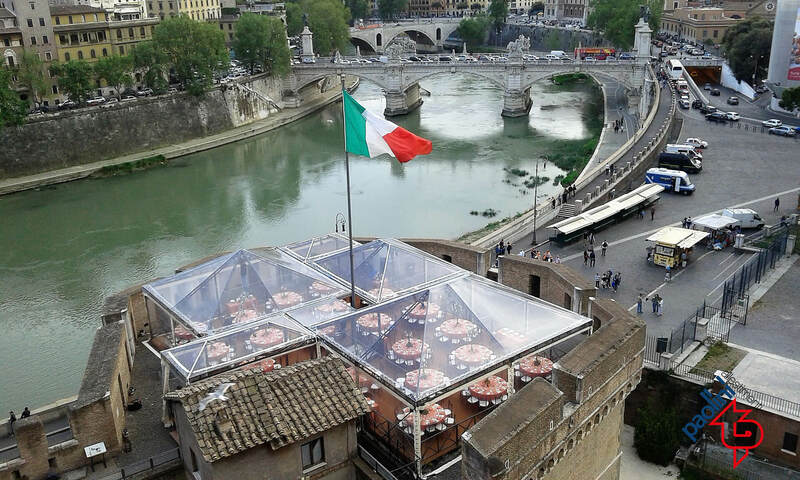 They are also equipped with clear sliding perimeter walls. 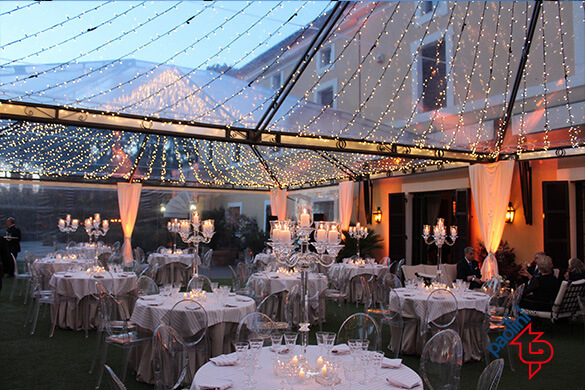 The scenic effect of Cristal tents is rounded off by the lighting system which consists of chandeliers of various types and spotlights. 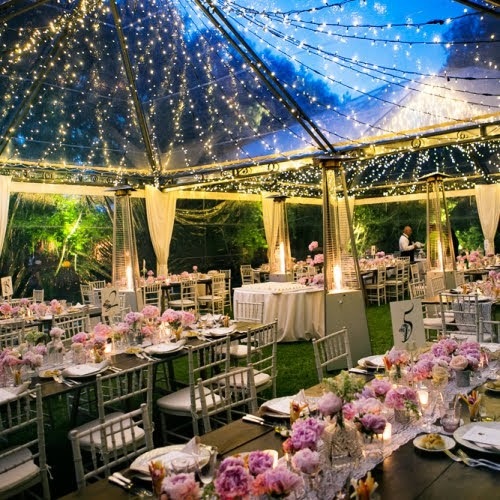 The flooring, made of wood panels with carpeting or synthetic lawn, allows you to level and complete the structure, while the heating and cooling systems ensure the right level of comfort at any time of the year. 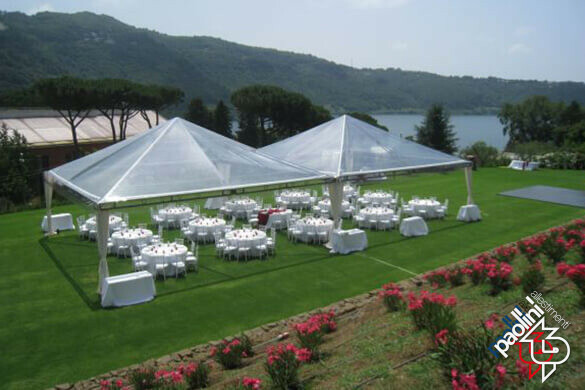 All materials used to make Cristal tents comply with the law and the installation procedures, while the assembly and disassembly phases comply with the safety standards. 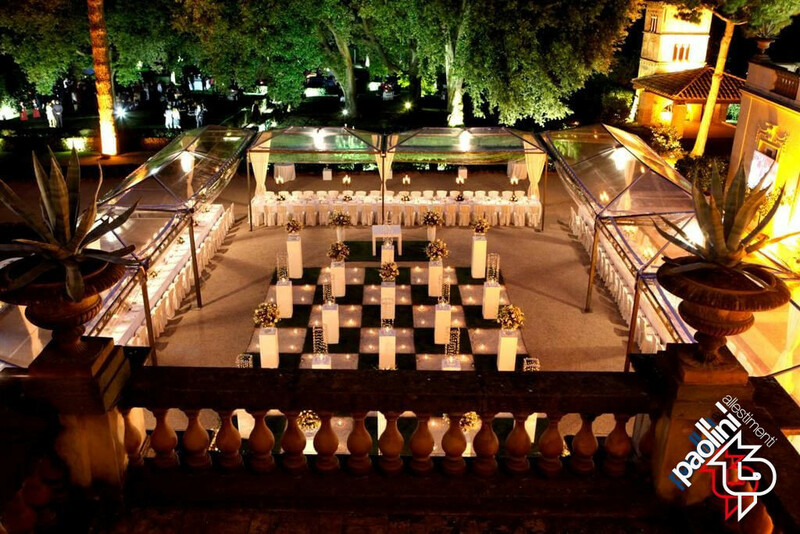 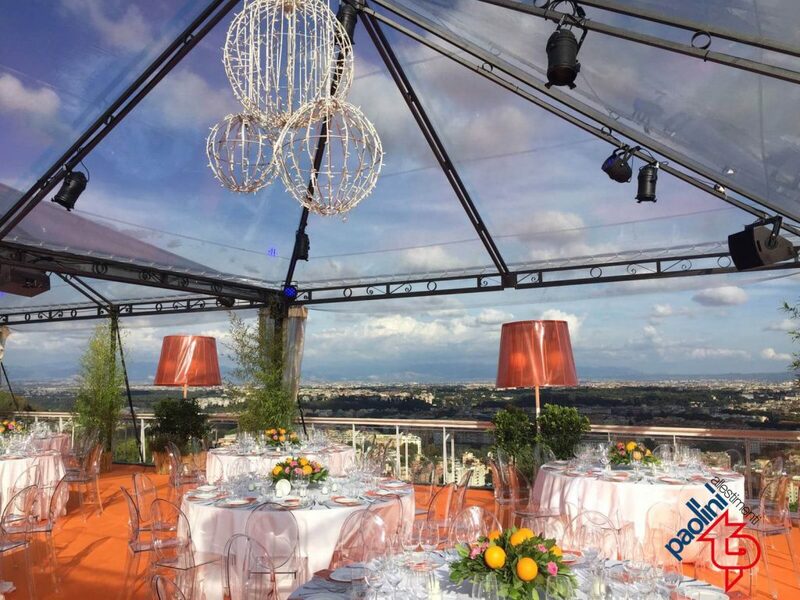 Cristal event tents ensure elegance and refinement for any type of event and can help enhance the beauty of an exceptional location, chosen for its architectural or natural value. 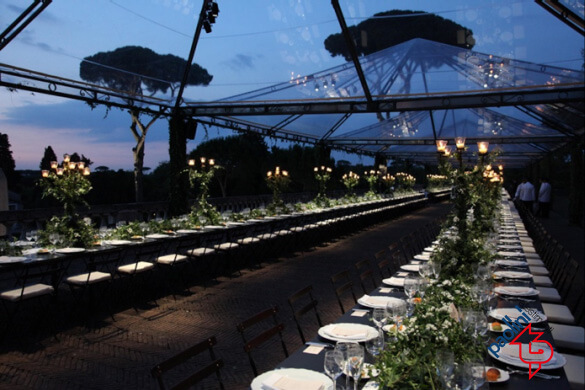 These tensile structures allow guests to enjoy the event as if it were in the open air, but with all the comforts of an indoor event. Ideal for evening and night events, they are the least invasive solution and are, therefore, suitable for any type of location. 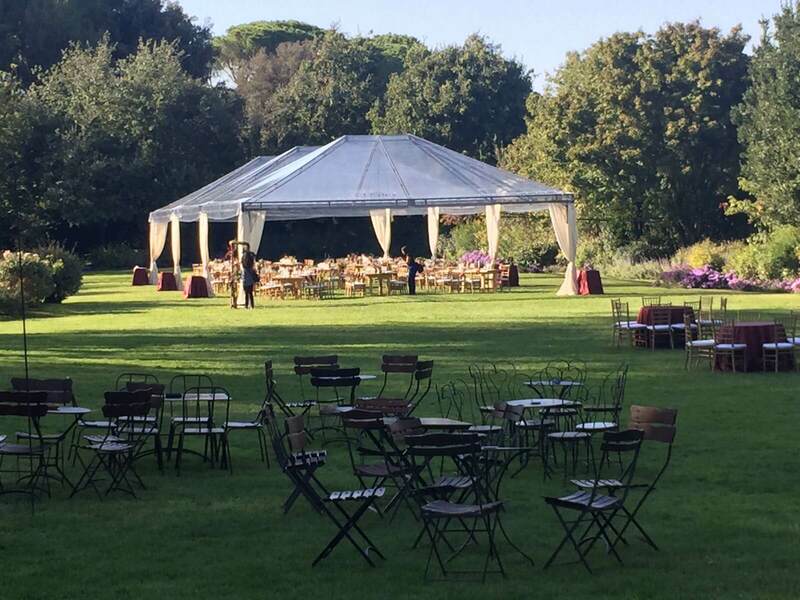 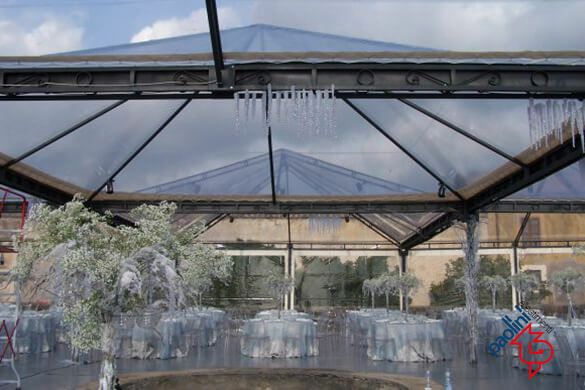 Cristal event tents are ideal for private or corporate parties, weddings, museum installations or winter gardens because they guarantee an aesthetic continuity between the outside and the inside.